PPC Renewables SA (PPCR) is a wholly-owned subsidiary of the Public Power Corporation SA, Greece’s largest power generation company. In 2006, PPCR inherited all Renewable Energy Source (RES) related activities (wind, small hydroelectric, solar and geothermal) from PPC, including all its technological innovation, know-how and expertise in the field of power generation. The company owns 20 Wind Farms (81 MW), 17 Small Hydro and 28 Photovoltaic Power Plants with a total installed capacity of 153 MW. The company invests in all Renewable Energy Sources. We are currently realizing an ambitious expansion plan with new and repowering wind projects. Our pipeline includes also Geothermal, Biomass and hybrid power plants. PPC Renewables generates electricity with no adverse impact on the environment, and with an overall pipeline of projects in different stages of development amounting to more than 330MW. 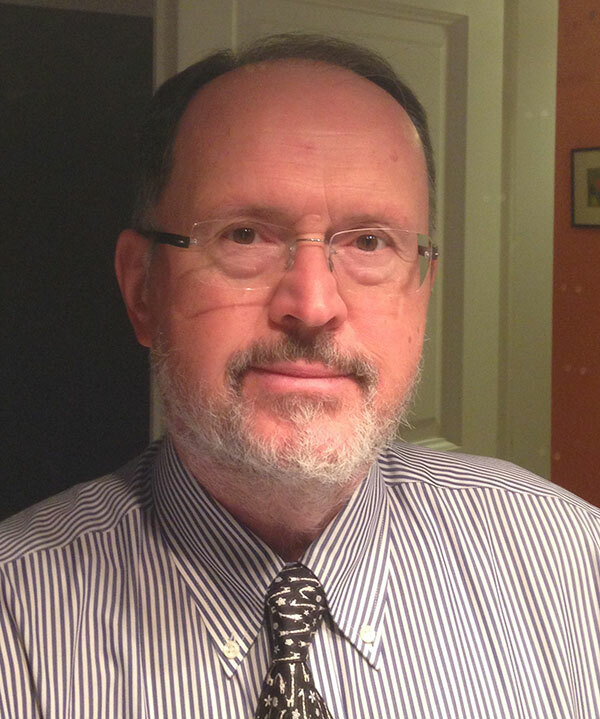 The company encompasses a huge know-how on the field of renewables, with experience in demo projects dating back to the early 80s, when the Department of Alternative Energy Forms was founded by the parent company PPC. The department was responsible for tracking, recording and studying the country’s wind, solar and geothermal potential as well as other alternative sources for the production of electric power, for experimental or commercial use, and their integration into the PPC energy production plan. The invaluable expertise and experience gained was to be used a few years later both in the shaping of national policy regarding RES and in the development of the sector by private investors. For a brief period, PPC’s interest in Renewable Energy Sources appeared to be confined to the islands, where the cost of running conventional power plants was exceedingly high. However, following the reform of the legislative framework and improvement of incentives, the conditions for Renewable Energy Sources changed dramatically. Over the last decade, the company was able to move at a rapid pace to compete directly with private producers. Consequently, the new company was able to collaborate with private contractors and producers to carry out projects, and was eligible for investment subsidies. Currently, PPCR employs 75 members of staff comprising a mixture of experienced personnel and highly skilled new engineers and scientist. Through its optimal exploitation of Renewable Energy Sources, the company creates today a cleaner and safer environment for tomorrow. Simultaneously, the company contributes to Greece’s economic growth through projects that improve the quality of life of local communities, all over Greece. Some of these endeavours, such as the Ikaria Hybrid Energy Project, place both the company and Greece at the forefront of innovation at a European level. The company is strongly involved in monitoring and employing new technologies, legislative framework and energy market transformation towards achieving national and EU set policies. The industry has benefited from extensive and generous financial grants provided by the European Commission in the 80s and 90s. This was a strategic move because it strengthened the industry and helped to create the present level of a robust technology, as evidenced by the high availability and performance of modern wind turbines. Wind has become a major player when it comes to Renewable Energy Source development globally. The industry must continue its pursuit of excellence. Repowering on land needs to be carefully designed so as not to provoke local communities and safeguard the environment. The safety standards for the personnel working on machines should be enhanced. Solutions for lightning protection, noise reduction and radar interference should continue to be researched and the technology improved. Transportation in complex terrain is a serious issue for large wind turbines. Modular wind turbines, concrete towers built locally, and easy transport such as airlifting might be a solution. Over the past decades, PPC/PPCR has carried out several research and innovation projects including the first PV power plant on Kythnos island, (100 kW, 1982) and the first European wind farm also on the same island (100 kW, 1983), as well as Commercial projects, funding from HORS QUOTA, Integrated Mediterranean Programmes & VALOREN for wind farms of 25 MW in the Aegean island, Euboea and Crete (1986-9). We are very proud to continue this legacy by introducing more wind power into the Greek electricity network. We believe that this cannot be achieved without storage and we are currently engaged in finding the appropriate technology for the non-interconnected islands as well as mainland solutions. We will strive with other local players to maximize the use of wind energy in Greece. We like both the new name and the scope of our old friend EWEA. 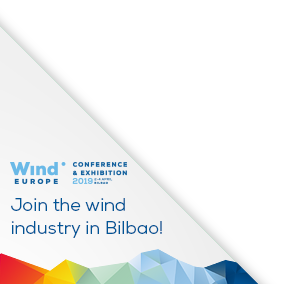 We know WindEurope will continue to promote wind energy solutions and point out the benefits of this renewable industry to the general public in Europe. It is paramount to increase the momentum for more sustainable development. We need reports that help educate the public and also we need to organize public consultations in countries where there are constraints to further development. Wind Day in June is an excellent event and we should think of innovative ideas to bring forward the message that wind works. The WindEurope portal is a treasure of accurate information, facts and figures that can be used for reference in society’s quest for clean energy for all. A name to be trusted beyond doubt. The company’s aspiration is to significantly increase our renewable energy portfolio. 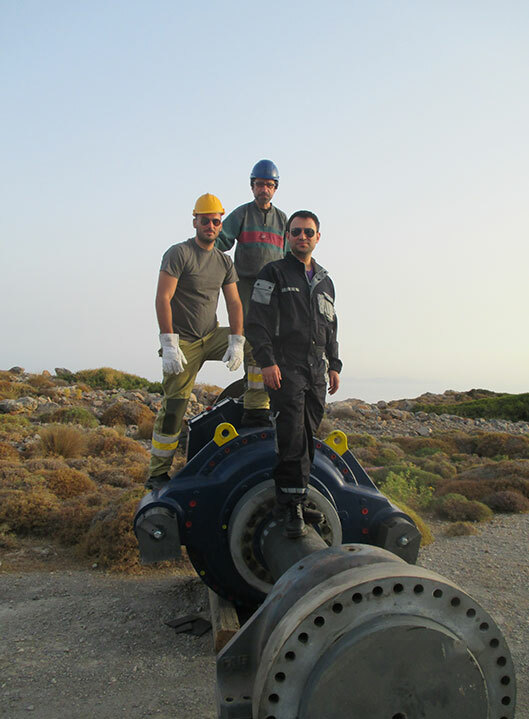 We have in the pipeline large wind energy projects such the Rodopi 120 MW wind farm. We would like to see an acceleration of interconnections to our islands where the rich wind resource is waiting to be exploited. We have proposed to the Greek state a project of 1047 MW comprising 56 wind farms, interconnecting 11 islands to mainland Greece. We hope to prove that wind and solar, coupled with energy storage, can be a solution for 100% electricity coverage of the islands. We like to see that the EU supports firmly Renewable Energy Source solutions and has the right polices and incentives in order to make this come true. We firmly support continuous priority access to Renewable Energy Sources.